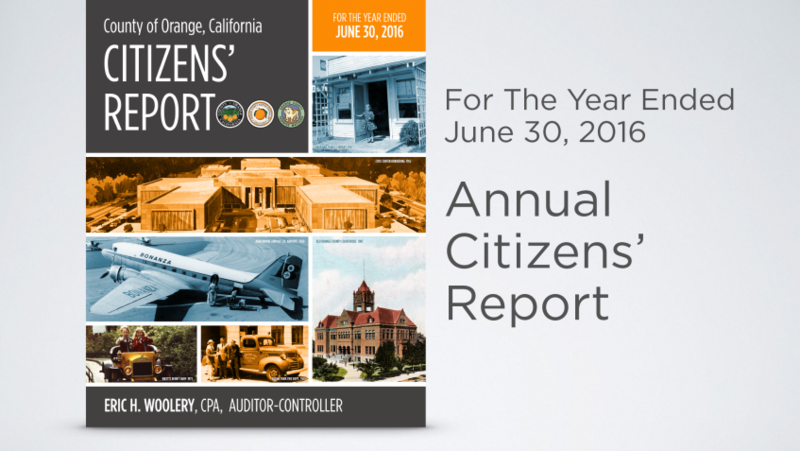 Orange County Auditor-Controller Eric H. Woolery, CPA, announced the publication of the annual Comprehensive Accounting Financial Report (CAFR) and its accompanying Citizens’ Report. The Comprehensive Accounting Financial Report (CAFR) is the audited financial statement for the County’s most recently completed fiscal year. It is designed to fairly present the financial position as well as changes in the financial position of the County. 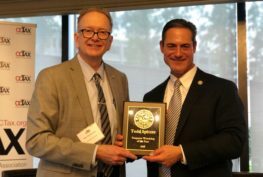 This year’s report was presented at the Orange County Taxpayers Association’s (OCTax) annual luncheon, in which Auditor-Controller Eric Woolery and Treasurer-Tax Collector Shari Freidenrich spoke with OCTax President Carolyn Cavecche on the financial state of the County. The Auditor-Controller also presented Carolyn Cavecche with a “Jameson,” the Taxpayer Watchdog Award given by the office of the Auditor-Controller for her dedication to the protection of taxpayer funds. 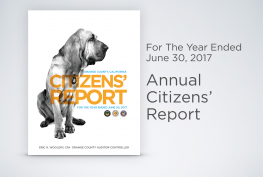 Every year, the Auditor-Controller releases the CAFR for the prior fiscal year ending June 30. The document is prepared in accordance with California Government Code Sections 25250 and 25253, and an outside auditing firm is retained to audit the report. In addition to the CAFR, the Auditor-Controller prepares a Citizens’ Financial Report which summarizes key aspects of the CAFR in a condensed, easy-to-use format. In addition, the Auditor-Controller seeks input from community groups and leaders to target information that they believe may be of particular interest to the public. The Orange County Auditor-Controller’s office typically releases one to five audits per month. 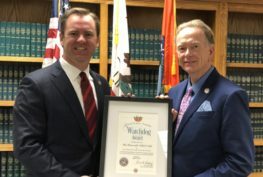 Representing 3.2 million residents, the Orange County Auditor-Controller’s office is the largest independently elected Auditor-Controller in the nation.